One of my favourite Leeds United photos is of the squad from the 1989/90 Division Two title winning season. The only one who spoils it is, predictably, David Batty; while all the others on the front row have followed instructions by placing their hands firmly on their knees and smiling into the lens, Batty is resting his wrists loosely on his thighs and looking askance at something off to his left, as if he’s spotted someone breaking into his car. He’s probably just trying to work out how soon he can get off home. As a group, though, Leeds are resplendent. They’re all wearing the long sleeved version of the home shirt which, after various weights of typeface and colour, bears the best version of sponsors Top Man’s logo on the chest — embossed, bold and navy. On the back row Batts’ big brother Vinnie Jones is squinting to the right, but it’s less obvious beneath his furrowed brow. Most of the rest are smiling, confident and relaxed. And so they should: they’d won the league already, and this was a photo of the champions. 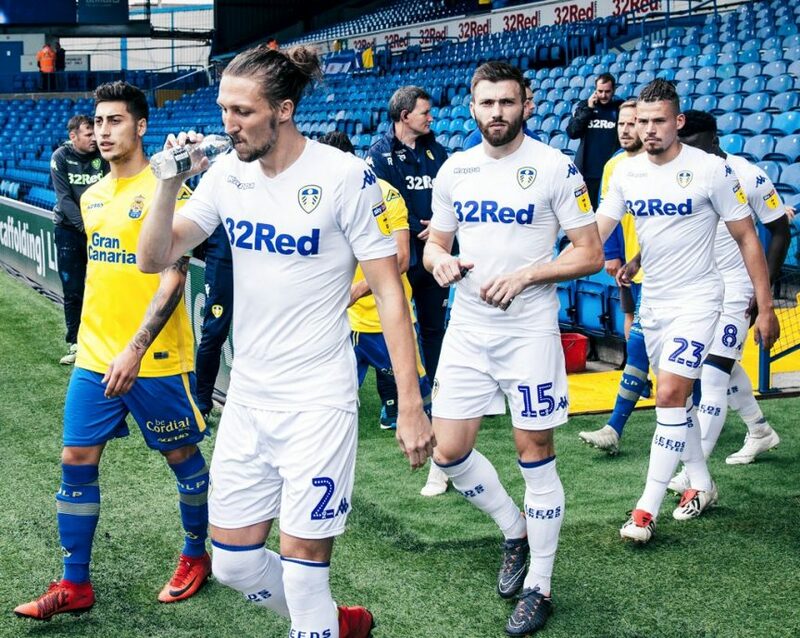 Most clubs release their squad photos in the summer as a gesture of optimism for the season ahead, although transfer windows and hasty loan deals have eroded the tradition; Leeds never seemed to recover from the season they had to cut and paste Darren Huckerby’s head onto Jimmy Hasselbaink’s body. The photos become mementos of the campaign, but we don’t find out until May if we’ll be putting it in a frame or putting it on a dartboard. A lot can change by then, and not just results. That’s why the end of season photo from 1989/90 is such a treasure. 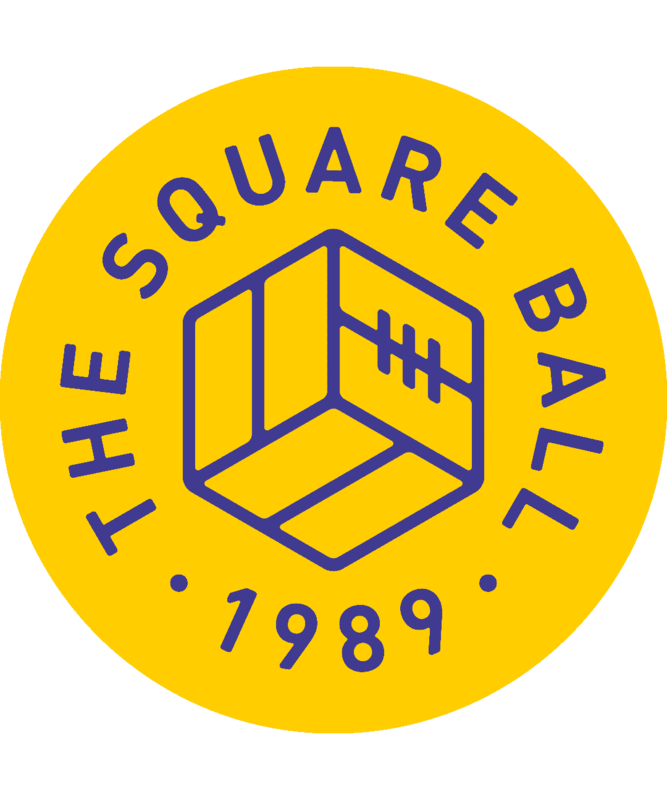 Lee Chapman, Chris Kamara, Dylan Kerr, Gary Speed and Imre Varadi all made contributions to winning the title; none of them are on the summer squad shot. Kerr and Speed were at the club but not part of the first team squad; the others didn’t arrive until after Christmas. Speed’s place before the camera at the start of the season was taken by Mickey Thomas, who is absent by the end; Ian Baird and Noel Blake have gone too. Gone as well is the plaster on Howard Wilkinson’s forehead; a quiet summer smile is replaced by a toothy grin in May. This guy, and these lads. These are the champions, and it’s good to have a photo to record it. I started thinking about that photo this week when a shot of this season’s Leeds United squad appeared on Twitter. As part of the ‘Show Racism The Red Card’ campaign, the players are gathered on Elland Road beneath yellow winter sunlight, holding red cards to support the message. It was the first time I’d realised that, unless I’ve missed it, Leeds United didn’t release a summer squad photo. It was the first time we’ve seen them, all the lads, with Marcelo Bielsa on the front row, the corner of a smile just starting work as he gazes straight ahead. We can date it; Samu Saiz isn’t there, but Lewis Baker and Conor Shaughnessy are; Will Huffer hasn’t yet left for his month with Barnet, because Kiko Casilla hasn’t arrived. Despite the discrepancies, the picture’s release felt well timed, ahead of the game against Norwich City, and the sixteen games that will follow and decide our season. I wondered if, once Daniel James was signed and sealed from Swansea City, it might be good to take the photo again and make it as up to date as possible, as if to say, here they are. Here are the lads. These are the ones who are going to make it or break it. If we’re waiting for Daniel James, though, we’ll be waiting a long time. I suspect we’ll be hearing much more about the transfer that wasn’t, but once Marcelo Bielsa has dealt with the subject in a press conference, most of the noise will be in Swansea. We know from Bielsa’s track record that he weighs activity in the transfer market as a measure of his employers’ integrity, but after identifying two goalkeepers, Karl Darlow and Kiko Casilla, and getting the one he thought was impossible (Bielsa greeted Casilla by telling him he was “crazy” for coming to the Championship), that Leeds met Swansea’s ever changing demands and overcame their reluctance to sell to the extent that Bielsa’s only other request was sitting in the stadium in a Leeds shirt with his medical done ought to satisfy Bielsa that the club could not have done more to satisfy him. “If he comes it will be a significant transfer,” Bielsa said on Thursday afternoon. “If he doesn’t come then we will find solutions.” Some fans have complained that there was no backup plan should Daniel James’ transfer fall through, but I’m not sure it would have been possible to sign any second choice option given how late in the evening Swansea pulled out; it would have required a Massimo Cellino standard of medical to get it done in time, and our physios have enough crocks to deal with. But we know from Bielsa’s time at Lille that a player he doesn’t want is worse for him than no player at all, and after rejecting all Victor Orta’s other finds like a diner sending back the wine, it was all or nothing on James. Nothing is a terrible word, though, and I’m not sure it has a place in Bielsa’s thinking. He always has something. This season’s question of a goalkeeper provides an example; he refused all offers of an emergency loan when Bailey Peacock-Farrell was injured, preferring to use Will Huffer. Will Huffer has since been loaned to the National League, an indication of the stage his development has reached. With the transfer window open, Bielsa asked for and got one of the finest goalkeepers in La Liga. For Bielsa, it’s all about the players he has in the building. If he has a goalkeeper from Real Madrid in the building, he’ll use him and get the best out of him. If he has a teenager without a first team match to his name, he’ll use him and get the best out of him. It’s a high-wire risk, but then this was a high-wire season from the moment one of the most volatile coaches in world football was signed up, and the trapeze act is only getting naturally more precarious the longer Leeds spend at the top of the table. Failing to land Daniel James won’t make promotion any easier, but nobody ever said it was going to be easy anyway. This is Leeds United AFC. Even in the 1960s and ’70s, when the best players in the world were playing for the best manager, easy was never in it.